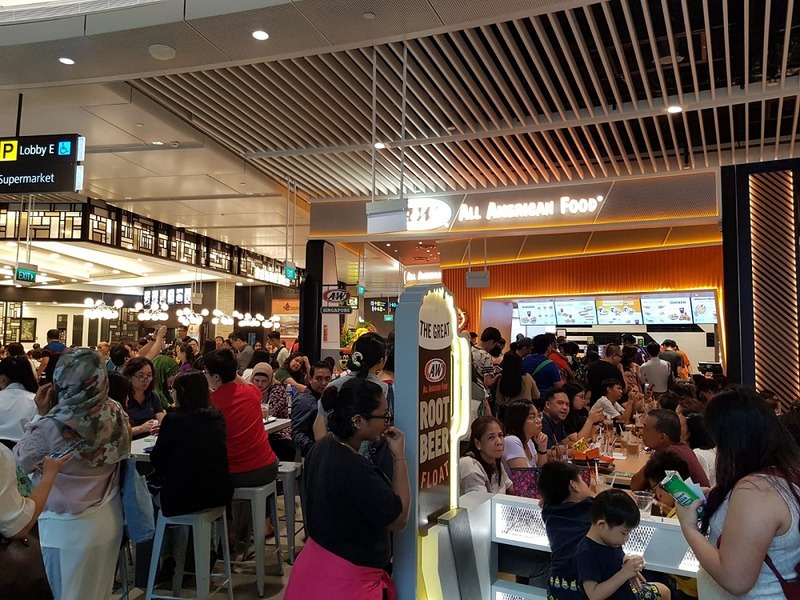 Currently in its seventh consecutive year as world’s best airport according to Skytrax, it’s no secret that Changi Airport is Singapore’s pride and joy. The latest addition, Jewel Changi Airport, will most certainly help it hold its pole position for many years to come. 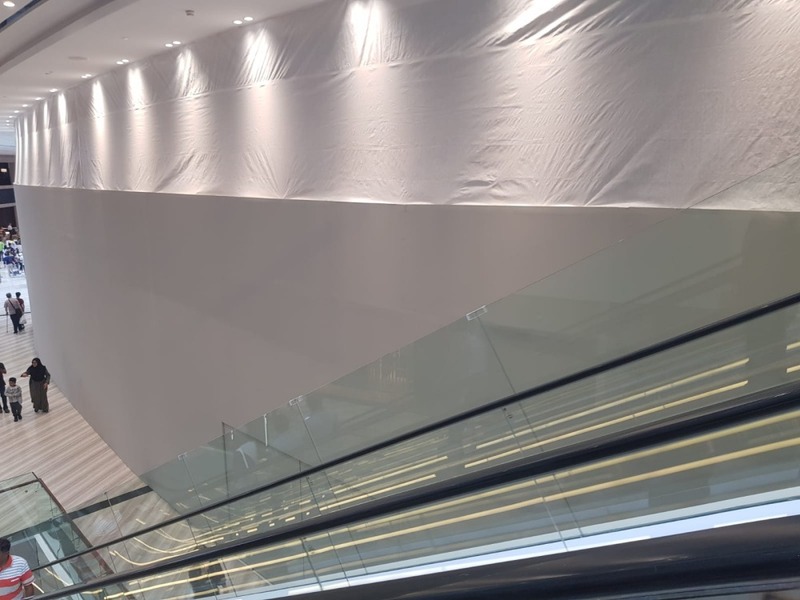 The public preview sessions have just begun and we’re getting a firsthand look at this massive 10-storey mixed-use development that cost S$1.7 billion dollars. 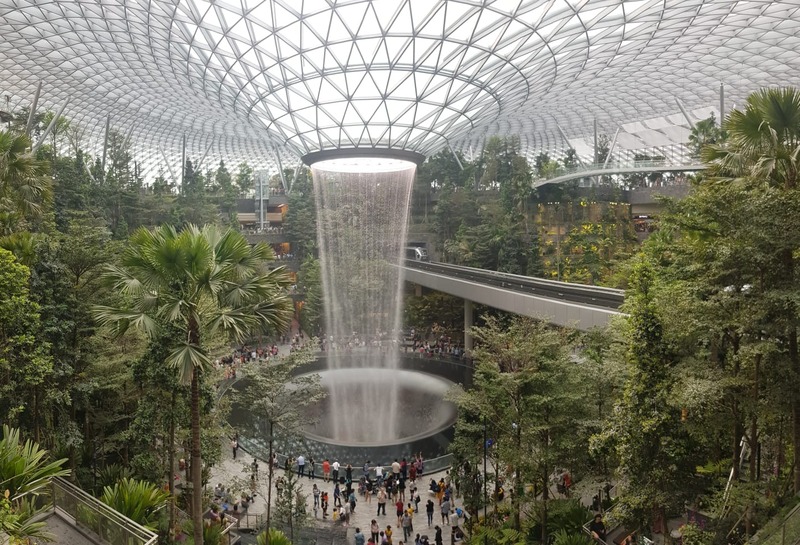 Opening to the public on April 17th, it’s packed with awe-inspiring features such as an indoor waterfall measuring 40-meters high and Forest Valley, a five-storey indoor garden. 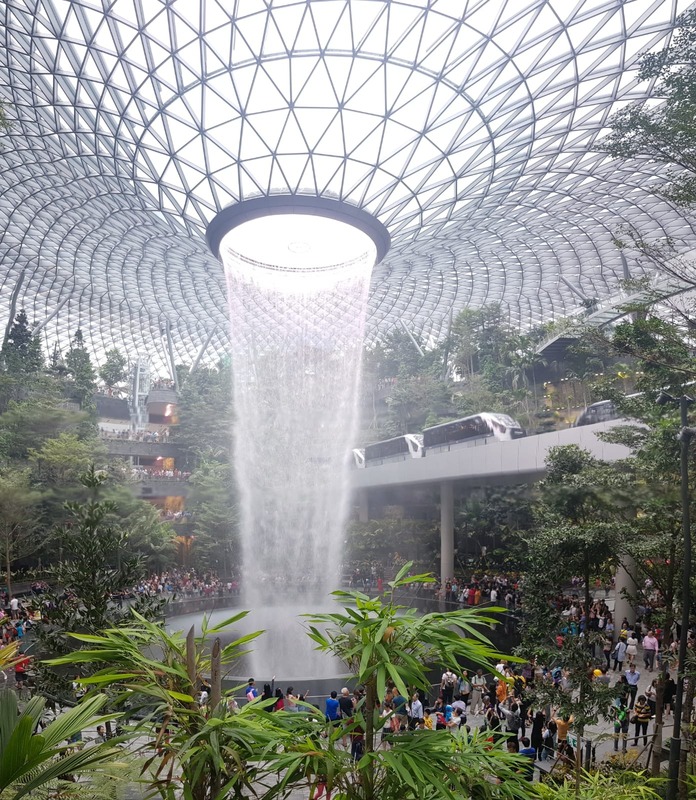 A true architectural achievement, at a height of 40 meters, the Jewel Changi Airport boasts the world’s tallest indoor waterfall – besting the next tallest, which if you didn’t realize is nestled within Jurong Bird Park’s Waterfall Aviary at 30 meters tall. Christened as the HSBC Rain Vortex, it is the centerpiece attraction of the Jewel Changi that is designed to take your breath away. 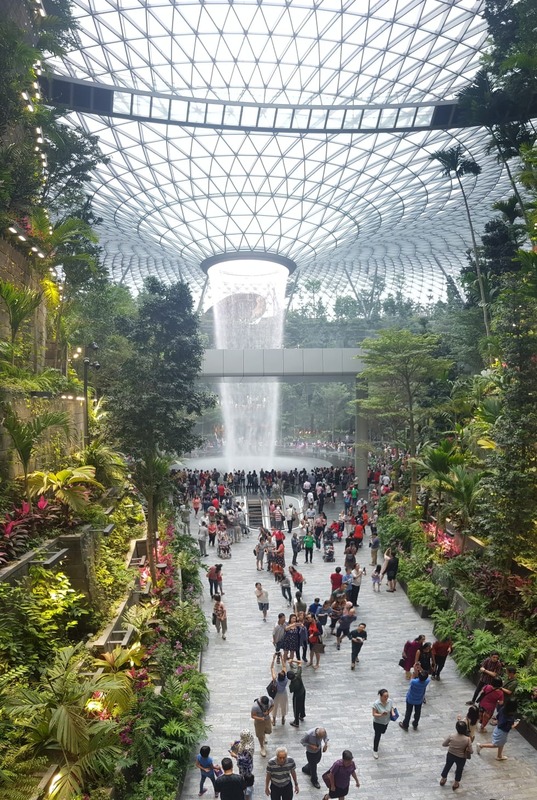 The combination of Jewel’s enormous glass dome structure with a steel skeleton, the huge indoor waterfall and the lush steeped greenery that forms the Forest Valley is simply a sight to behold. Apart from the main attraction, there are many more coming by mid-2019 such as bouncing and walking nets, hedge and mirror mazes, a huge bunch of slides nicknames Discovery Slides, petal gardens, canopy bridge, topiary walk and more – all part of the Canopy Park attractions that are in the works. 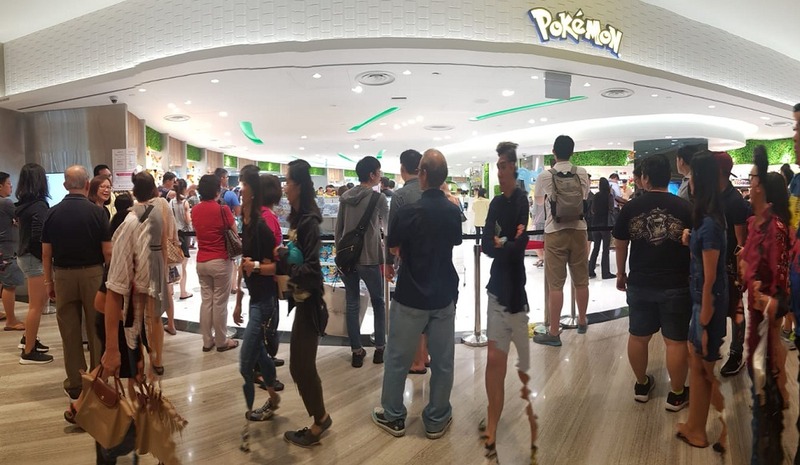 This is the first permanent Pokémon Center in Asia outside of Japan. 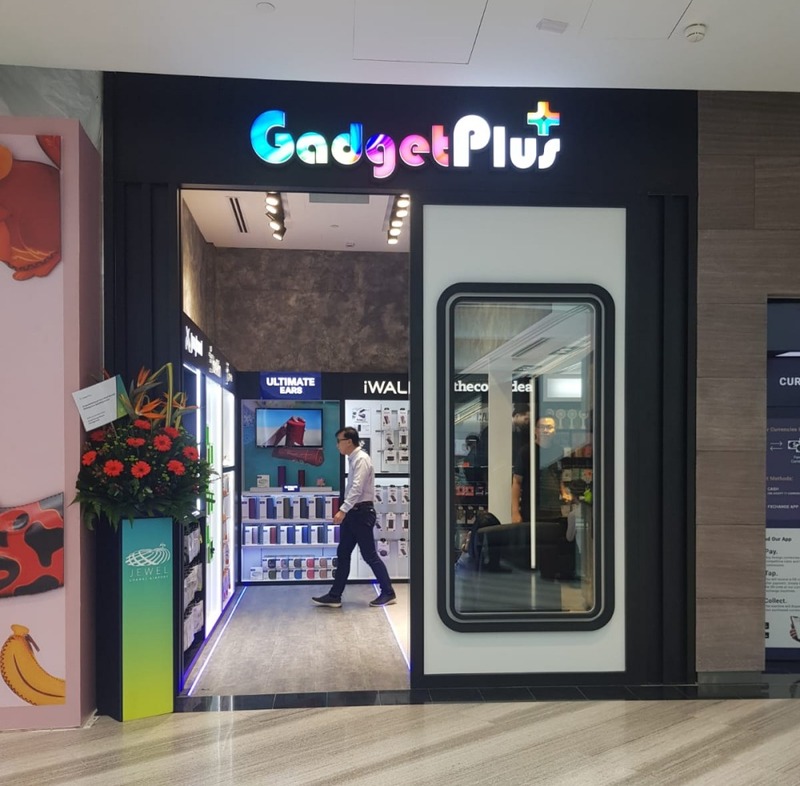 The store is a real-life replica of the Pokémon Center featured in the gaming world and you can purchase the same merchandise sold at the Pokémon Center in Japan. What can you expect? Original merchandise created exclusively for Pokémon, including plush toys, stationery, Pokémon Trading Card Games, video games and more. 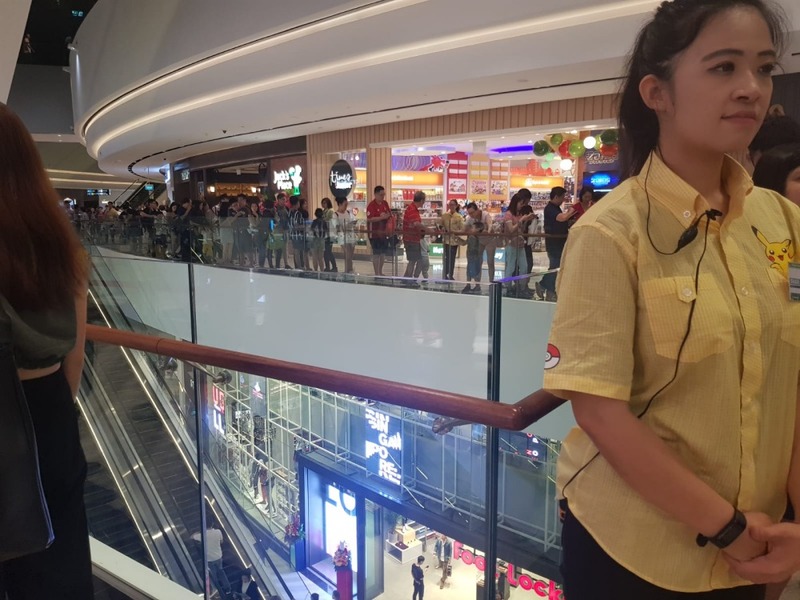 Needless to say, it can get quite crowded initially, but that’s unlikely to deter true Pokémon fans from partaking in extra activities and getting some exclusive merchandise. 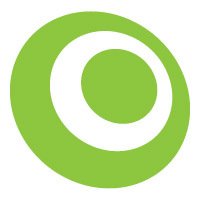 Find out more over here. For those of us traveling onwards to other countries, you could choose to check-in your baggage early and experience Jewel Changi baggage-free. Early check-in facilities are at level 1. 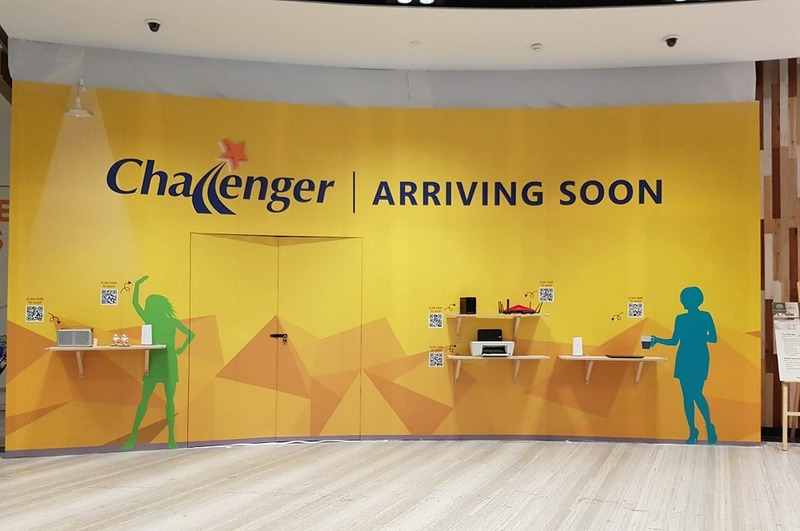 For tourists, there's also a baggage storage service should you be landing into Changi airport early, but your local transit within Singapore is scheduled for much later. Baggage storage service is at level 1 too. 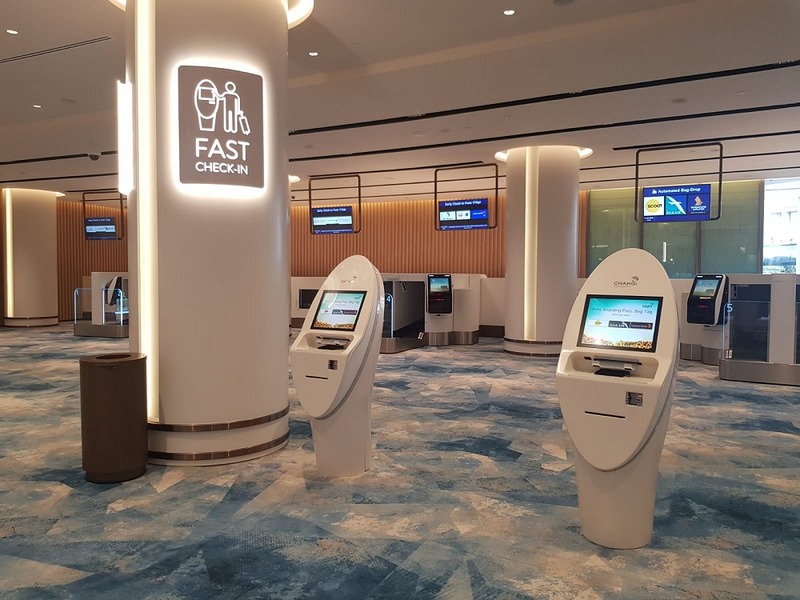 For those of us who don't mind paying for lounge services, Changi Lounge (you guessed it, also at level 1), offers rest and refreshment amenities, along with services such as fly-cruise OR cruise-fly baggage and transportation services to connect you between the airport and maritime terminals.